Recharging prepaid mobile is now possible at Amazon.in. Users can also use their Amazon Pay balance to pay for the mobile recharge. The introduction of mobile recharges at Amazon adds to the growing list of services where Amazon Pay Balance is accepted. Users not holding Amazon Pay balance can either top up their Pay Balance or pay for the mobile recharge directly from the credit or debit card. Amazon Pay is like any other digital wallet. You can use Amazon Pay balance to easily pay for a variety of services. This includes shopping at Amazon, doing mobile recharges, buying movie tickets and lots more. Check out this list to know where all the Amazon Pay balance can be used. 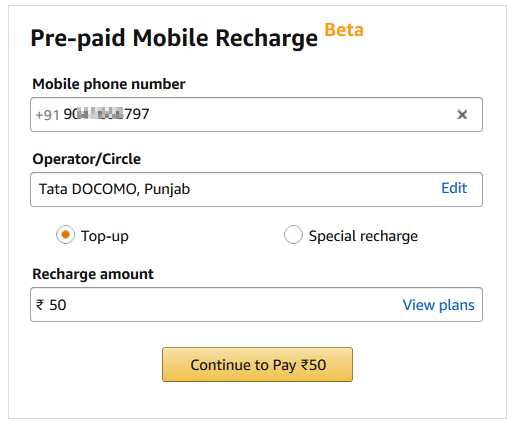 Prepaid numbers from all Indian operators can be recharged online at Amazon. 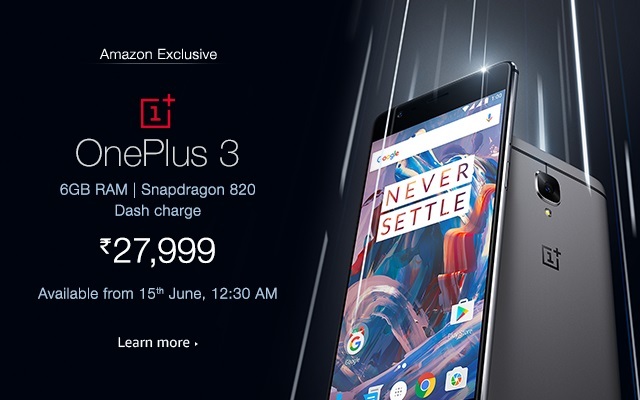 Airtel is an exception, but Amazon is working hard to bring support for Airtel recharges as well. Other than Airtel, all other carriers/operators are available (including Reliance Jio). We recommend that you pay using Amazon Pay as it allows for faster refunds in case the transaction fails. Make sure that you have Amazon Pay Balance, else keep your Credit/Debit card or net banking details handy. Open the Amazon prepaid recharge website. Key in the phone number of your prepaid SIM. Choose the operator and the respective circle. The field will be automatically filled, but the information can be incorrect if you have ported your number to a different operator. Choose the recharge amount/plans and click on “Pay” to proceed to the payment. Select your payment method. If you do not have enough Amazon Pay balance, then you can use your credit/debit card or net banking to finish the payment. Success Recharge was successful, confirmation sent to registered email address. Failure Recharge failed & payment refunded to original payment method. Pending Recharge request pending with the operator, payment will be refunded to original payment within 2 working days if recharge is not successful. If your recharge has failed, then you can get in touch with Amazon support. Amazon will automatically issue refunds for failed transactions.